This article was first published in the Sunday Guardian on 2 June 2018 with the title, “Childhood was given a new meaning in European schools” as part of the ongoing weekly series called “Global Child Rights and Wrongs” in collaboration with this website, www.saveyourchildren.in. The series critiques the role of governments and NGOs in the child rights field. Global child rights discourse often turns the spotlight on how children are treated – historically and in present times – in our part of the world. But it is also educational to turn the gaze around to study the treatment of children down the ages in the West. In earlier articles in this series I wrote about the vision of childhood, especially as demonstrated in the schooling of young boys from the ruling classes, in Platonic and Spartan times. Now we travel closer in time from Ancient Rome and Greece to Europe of the 18th and 19th centuries. In this article we look at the child in Imperial Britain, Germany (Prussia) and France – the three dominant powers of Europe of the time. As is well known, the 18th and 19th centuries were the empire-building years for Britain, Prussia and France. The formation and expansion of their empires required extensive military campaigns and contests in far-flung places. There was a demand for warriors, and equally a need to raise and train a ruling class committed to the cause of the empire for the effective administration of the colonies. In France there was additionally the need to inculcate in the people, especially the youth, the new values of the post -Revolutionary state. From these imperatives emerged the public schools of Britain, the “lycées” of France and the Cadet Academies of Prussia. Lycées were state-run secondary level schools. They were instituted as part of the educational reforms initiated by Napoleon Bonaparte. Lycées were boarding schools with militaristic discipline and served as recruiting grounds for Napoleonic higher military and civil officers. The lycées were influenced by France’s post-Revolutionary Jacobin values. The French thinker and educationist, Étienne-Gabriel Morelly, said, “Let us take the children at the age of five years and bring them up in a uniform fashion, imbued with the true Jacobin principles, at the expense of the state.” This vision was in line with the advocates of the French Revolution. Rousseau, for instance, referring to Plato’s Republic, had said that: “A child on opening its eyes ought to see the fatherland, and even to the hour of death, he ought to see nothing else.” In post-Revolutionary France, the state was supreme and the child belonged to it. French Revolutionary thinkers believed that the future of the unity and integrity of the State depended on the education and training of the successive generations. The French Convention of 1792 would only accept a strict regime of State-steered education for children. Here, as for Plato when contemplating nation-building in Ancient Greece (as discussed in my earlier article), Sparta emerged as a role-model and inspiration. The Convention decreed that children be taken into the lycées from the ages of five to twelve to be brought up in a communal setting with common attire, food, amusements, lessons, speech, shoes and, ofocurse, common ideals. Q.: To whom do we owe obedience and honour? A.: We owe obedience and honour to all in authority over us, but especially to our august Emperor Napoleon, whom God raised up to deliver our state from anarchy and restore the holy religion (“State, Church and School in France, David Saville Muzzey, The School Review, Univ. of Chicago Press, 1911). There are rich anecdotes of the experiences of attending a lycée during the mid-19th century, with Classics lessons being interrupted by cries of “Vive l’Empereur!” and geography lessons being conducted as a glorification of the Napoleonic marches into Austria, Prussia and Russia. Often the themes of essays were the military conquests of the Bonaparte Napoleon. In 1717 the Prussian Emperor Frederick William I, known as the “soldier King”, consolidated the diverse military academies of the time into a single institution, the Royal Cadet Corps Academies. Usually the cadets join at the age of ten. The Spartan metaphor was constantly employed in building the self-identity of the cadets. The fabled militarism of Prussia and its abiding nationalism predisposed the elites to being inspired by the ideal of Sparta which manifested in the arena of military education. This facet of Prussian history of Spartan inspiration in military education has been lucidly and brilliantly captured by the historian Helen Roche in her book, ‘Sparta’s German Children: The ideal of ancient Sparta in the Royal Prussian Cadet-Corps, 1818-1920, and in ‘National-Socialist elite schools (the Napolas), 1933-1945’ which has provided a lot of insight and information for this article which the author wishes to acknowledge here at the outset. The cadets were known as “Spartanjungelinge” (Spartan youth). A large part of the training at the Cadet Corps consisted of attaining highest level of “Spartanertum” (Spartan-ness), which meant silent and smiling endurance of physical pain and hardship. This was the core of the self-identity of the cadets and there were numerous instances of cadets inflicting pain and torment on themselves voluntarily to reach Spartanern (being Spartan) such as “25 strokes of the cane on the muscles before breakfast with blood streaming down one’s arms” (Helen Roche, “Sparta’s German Children”, 2013). Apart from the self-inflicted extremities of pain there were plenty of gruesome games played amongst the cadets, the most notorious being the “Spanish Rack” where the hands are tied with a leather strap or handkerchief and pushed over the knees, while a bat or broom is stuck under them so that “he is helpless to prevent the beating which follows” (Roche, 2013). Living conditions of the cadets were also sparse and exacting (in a word “Spartan”) with rough bedding, limited food and limited heating and warns clothes even in the harsh winters. Perhaps of the three elite European school systems described here the Prussian Cadet Corps approximated closest to the Spartan ideal and adopted their methods most seriously. Amongst the three European school systems explored in this article, the one which has an enduring legacy globally is the English public school. Interestingly, the English public school system did not begin as a training ground for the ruling elite. Most English public schools trace their origins to the institutions founded by wealthy patrons during the Renaissance to educate promising students from modest or impoverished backgrounds, with the first one being Winchester College founded by Willian of Wykeham in 1382. The brainchild behind the emergence of these public schools as cradles of the British ruling class was Thomas Arnold, the legendary Headmaster of Rugby School. A Classics scholar, he too, like the French and Prussian educationists, looked at ancient Sparta and its agoges for the ideals for the schooling and indoctrination of the burgeoning elites of the British Empire in the mid-19th century. The Death of General Gordon. Khartoum by George WiIliam Joy (artist’s recreation). The history of the British public schools is inextricably intertwined with the British Imperium and its project of global governance. 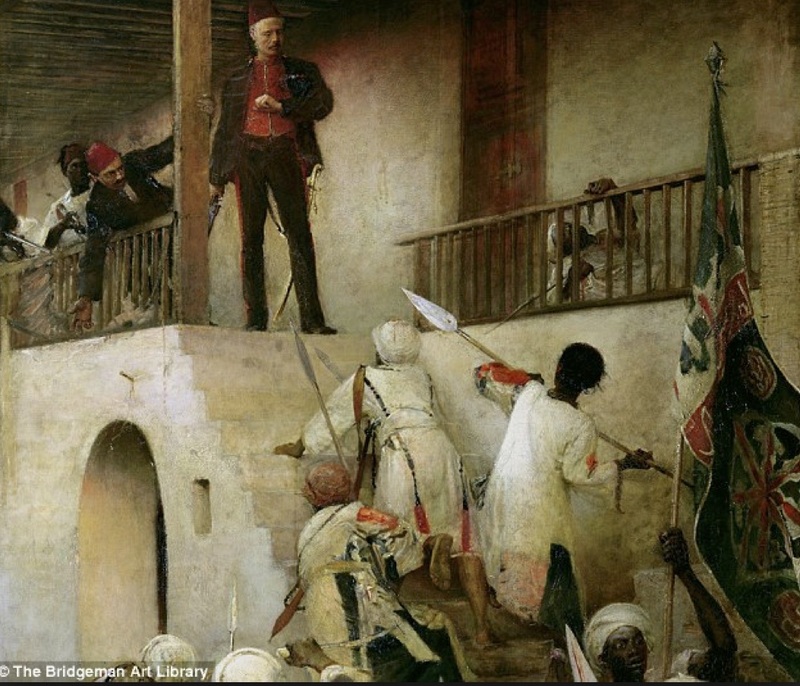 General Gordon of Khartoum who went down fighting his attackers single-handed on his palace stairs was the symbol of the public school spirit of “stoic defiance of physical injury and pain.” The episode of General Gordon was immortalized in the painting ‘General Gordon’s Last Stand’ by George William Joy, showing the tall, firm heroic figure of the General with a stern, confident visage confronting death. It inspired generations of British public school boys. General Gordon facing death with the proverbial “stiff upper lip” was the very embodiment of English public school values. Separation from the family was a leitmotif in this system of schooling; parents often being thought of as obstacles in the proper development of the child. At Marlborough School, for instance, it was said that “parents are the last people who ought to be allowed to have children” (“Sparta and the Imperial Schools of Britain”, Anton Powell, 2017). 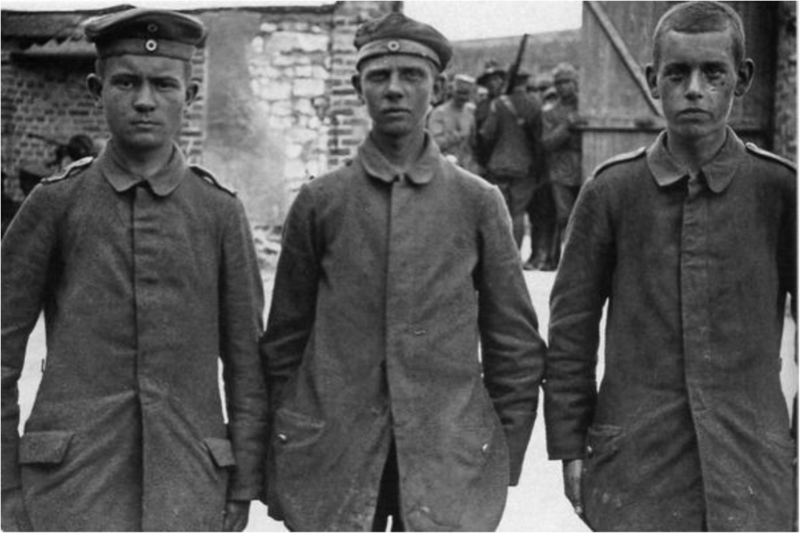 As in the lycées and Prussian Cadet Corps, living conditions were austere – there was a discouragement of any indulgence on part of the boys. There was also an indoctrination of a sense of being the “chosen ones”. The boys were schooled to believe that they were above other children attending the “lesser” schools. A sense of camaraderie based on the notion of the shared status of being part of the ruling elite was bred into them. This was not mere snobbery, but part of a conscious effort to form a highly trained class of soldiers and officials who would be committed to the cause of the Empire. Self-sacrificial “esprit de corps” was a key facet of the honour code ingrained in the boys. Great emphasis was placed on living together as a flock and standing by each other in times of distress. There was a special demand for boys to develop physical courage and endurance. Athletic ability was prized and rigorously inculcated. “Pluck” was what was expected of the boys; the ability to withstand fear and humiliation and other qualities that would hold them in good stead in battlefield. Orwell spoke of public school boys as “belonging to a certain tradition…..where the duty of dying for your country is laid down as the first and greatest of the Commandments.” This was put to test in the First World War in which thousands of public school educated youth were sent to their deaths, and 2,50,000 underage youth in all are said to have served. What emerges very clearly from this survey of the schools of Imperial Europe is the conscious and determined harnessing of children to the purposes of the empire or nation state. Children were given no quarter as it were when it came to indoctrinating and using them, even to the point of death, in the cause of the State. The devastation of the World Wars and other challenges to this Imperialistic worldview in the period that followed prompted a reaction in many spheres of life, including the schooling and raising of children. Much of the current Western thinking about childhood, child education, child psychology and child rights are part and parcel of this reaction to the Imperial past and its downfall. However, that is a subject which deserves separate attention and merits a distinct article.